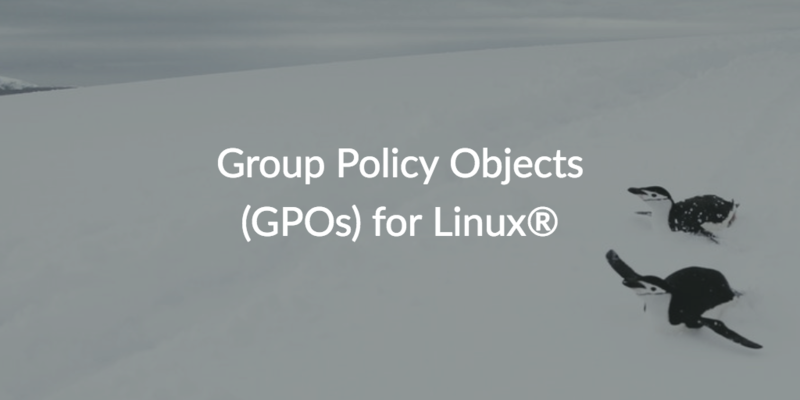 Group Policy Objects (GPOs) for Linux® would be a dream come true for IT admins. Unfortunately, GPOs are a unique feature of the Microsoft® Active Directory® (AD) platform that only works for Windows® based systems. The good news is that a next generation cloud directory services platform has emerged that has expanded the concept of group based policy management to support cross-platform system environments (i.e., Linux, Mac®, Windows). However, before we dive into the benefits of a GPO-like feature for Linux, we should discuss the significance of traditional GPOs from a high level. Group Policy is the term for Microsoft’s concept of group based policy management for Windows systems. Group Policy Objects, or GPOs for short, are essentially the expression of this concept. GPOs are effectively formal commands, templated scripts, and task execution guidelines that can be used to manage Windows system behaviors. One of the greatest advantages that GPOs can provide is the ability to manage Windows system groups en masse. GPOs were one of the key reasons why AD became so popular. Of course, it didn’t hurt that Windows systems and applications were already dominating the IT market when AD was introduced in 1999. Nevertheless, it was a brilliant move for Microsoft to build Windows system management capabilities into their directory service. The challenge with GPOs, as previously noted, is they only work for Windows systems out-of-the-box. This issue has persisted, despite the growing popularity of Linux and Mac alternatives since the turn of the century. After nearly twenty years, it’s safe to assume that Microsoft isn’t interested in providing support for competing platforms – but where does that leave modern IT admins? 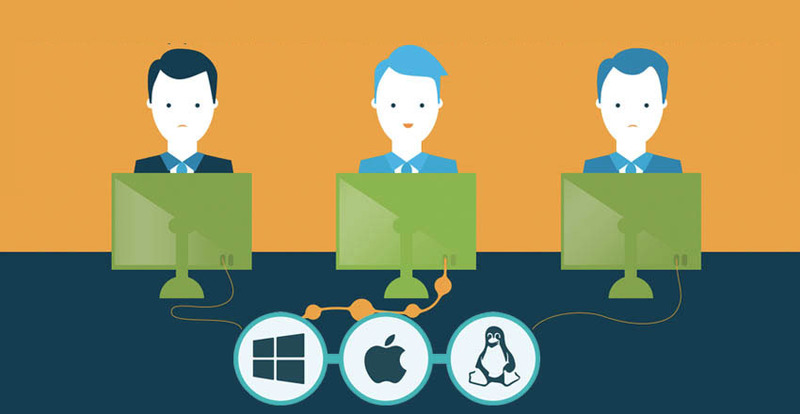 Well, if you’re an IT admin, then you are likely well aware that third party add-on solutions exist that can provide GPO-like capabilities for Linux systems (Macs too). You also probably know that third party add-ons are expensive, and often still require an on-prem AD implementation to operate. If this sounds familiar, then we don’t need to tell you this approach is far from ideal – especially as the world shifts to non-Windows platforms. At the same time, Linux machines have largely taken over for Windows servers as the most popular data center platform. This trend will likely continue, at least into the near future. Of course, therein lies the challenge for IT admins. In other words, how do you securely manage fleets of Linux systems with GPO-like capabilities? Simple – leverage JumpCloud® Directory-as-a-Service®. JumpCloud Directory-as-a-Service is Active Directory and LDAP reimagined for modern IT networks. Cross-platform system management is a core aspect of the JumpCloud platform, which enables IT admins to manage disparate systems with GPO-like capabilities. These are called JumpCloud Policies. 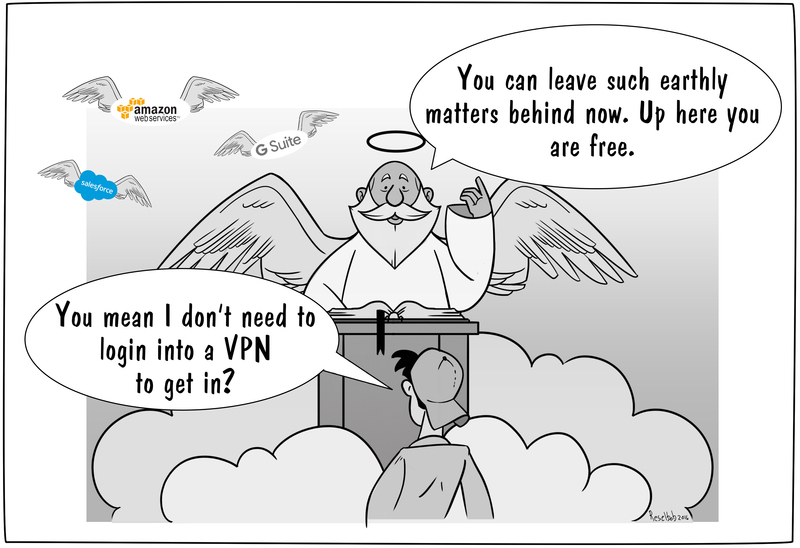 JumpCloud Policies are essentially next generation GPOs. While they are still prescribed commands, scripts, and task execution templates, the distinguishing factor is that JumpCloud Policies work for cross-platform system environments including Linux, Mac, and Windows. Another advantage is inherent to the JumpCloud platform itself. JumpCloud Directory-as-a-Service was borne from the cloud and is tailored for modern IT networks. This can include on-prem or cloud-based systems, applications, files, and networks. The end result is that IT admins are empowered to choose the best IT resources for the organization, regardless of platform, provider, protocol, or location, and they’re all controlled from one centralized management platform in the cloud. Check out our whiteboard presentation above to learn more about JumpCloud System Policies. You can also contact JumpCloud, schedule a demo, or sign up for a free Directory-as-a-Service account to see something similar to what Group Policy Objects (GPOs) for Linux would be in action. We offer ten free users to help you explore the full functionality of our platform at no cost – we don’t even require a credit card to sign up! Don’t hesitate, and join the JumpCloud family today.